As we welcome in the month of January, New Yorkers all around our state are finally seeing the real heart of winter. With below freezing temperatures and snow storms coming at us left and right, the entire state of New York is finally beginning to look like winter. 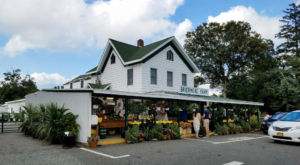 While we generally aren’t fond of the frigid temperatures that we get to experience during this time of year, we can’t help but swoon over how drastically our landscapes change. 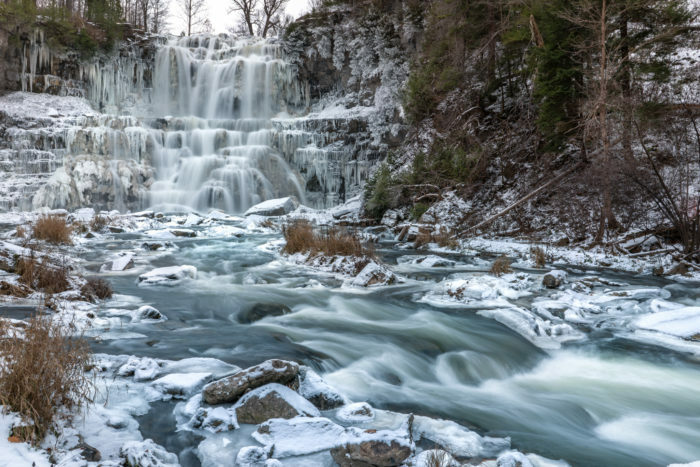 Turning familiar scenery into new experiences, check out why these frozen waterfalls are more than worth chasing during the winter. If you find yourself out in the town of Cazenovia, taking a scenic detour to Chittenango Falls is an absolute must. 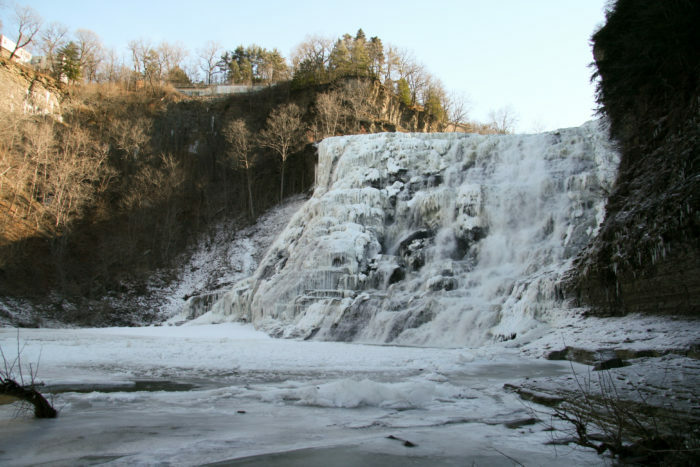 Hidden away behind a quiet and winding back road, Chittenango Falls is the star of this local state park. Cascading down 167-feet, seeing a waterfall as tall as this one during the winter is an incredible sight that will steal your breath away. 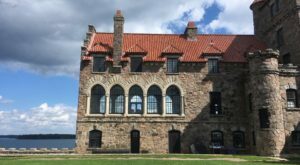 Easy to access, you'll find plenty of stunning overlooks in this quaint park that will give you a great view of the falls without even having to do any major hikes through the snow. 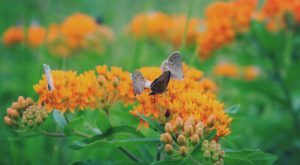 In the town of North Blenheim where you're just over an hour away from destinations like Albany and Cooperstown, Schoharie County is home to Mine Kill State Park. The beautiful 500-acre state park features Mine Kill Falls, an 80-foot waterfall that breathtakingly cascades through one of New York's mange gorges. 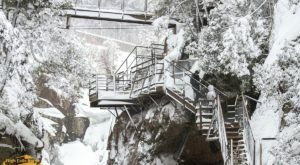 Throughout the park, you'll discover plenty of short trails that will lead you to the falls, where during the winter you'll get to see icicles dripping all along the gorge. 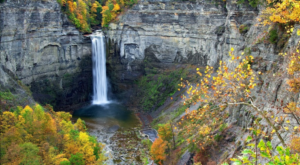 One of the many natural wonders that you can visit in our state's City of Waterfalls, Ithaca Falls is part of a public park along Fall Creek. Once you stand before Ithaca Falls, you'll be amazed by the size of this natural wonder — cascading down 150-feet with a width of 175-feet. 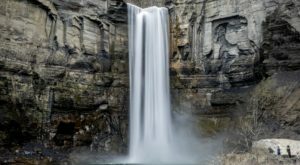 This particular waterfall is one that's quite popular to visit in town, but during the winter, you'll be more likely to have this entire waterfall all to yourself. Up north in the Adirondack Mountains, you'll often find that some of the region's best waterfalls are ones that require quite a bit of a hike to reach. Fortunately for New Yorkers, there are easily-accessible places like High Falls Gorge that will put you right in front of jaw-dropping natural wonders. 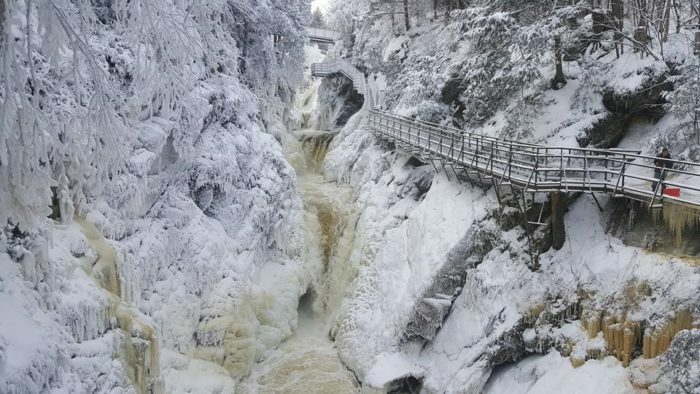 The private park allows visitors to get an up-close look at four major Adirondack waterfalls along the Ausable River, taking you along cliffside boardwalks that are unlike any others that you'll find in New York. Kaaterskill Falls is a destination that visitors often have a love-hate relationship with due to the fact that this waterfall can be seen as quite dangerous, but as long as you hike responsibly and be sure to stay on the trails and pay attention to the signage, there's no reason why you should avoid enjoying the beauty of this noteworthy waterfall. 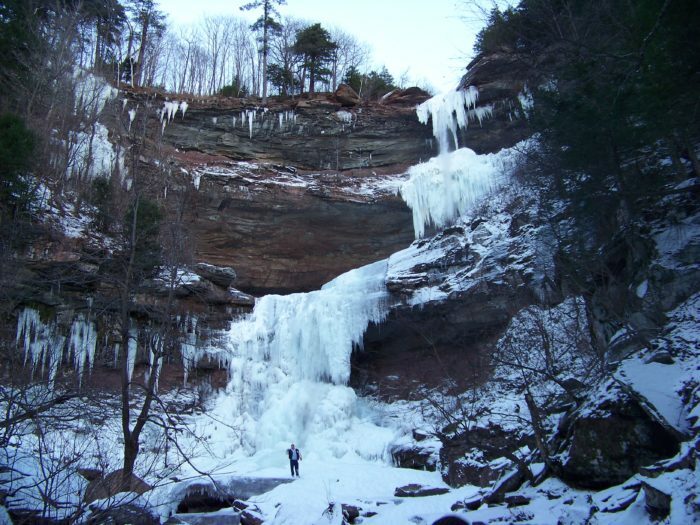 Considered to be the largest waterfall in New York, Kaaterskill Falls is a two-tier waterfall that cascades down 260-feet in the Northern Catskill Mountains. 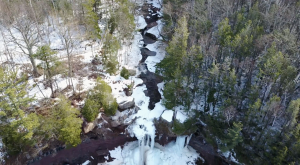 Those who are interested in checking out this waterfall will get to pick from two different options when it comes to exploring Kaaterskill Falls. Some who visit here will choose to hike to the base of the waterfalls as seen in the picture above, while others will choose to hike to the top of the falls where you can enjoy a beautiful overlook platform that allows you to see the falls from above as well as the amazing mountains that surround the falls. Which do you prefer? 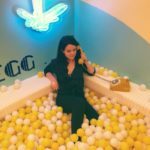 Sure you can plan a trip to famous destinations like Niagara Falls if you're out in Western New York, but if you're looking for something smaller that you can plan on having all to yourself, incredible wonders like Akron Falls are more than worth the visit. 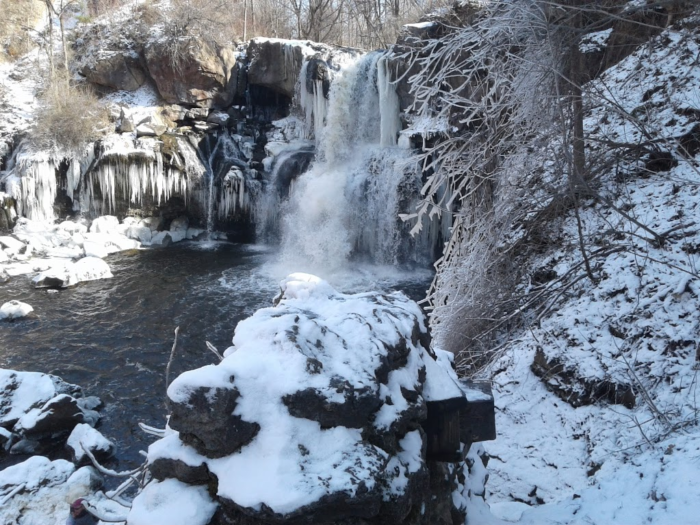 Part of Akron Falls Park in Erie County, a short trail in the park will quickly lead you to this 40-foot waterfall that looks like something out of Narnia during the wintertime. Magical, huh? To our friends out in the Finger Lakes, we forever envy the fact that you have such quick access to amazing natural wonders like Taughannock Falls. 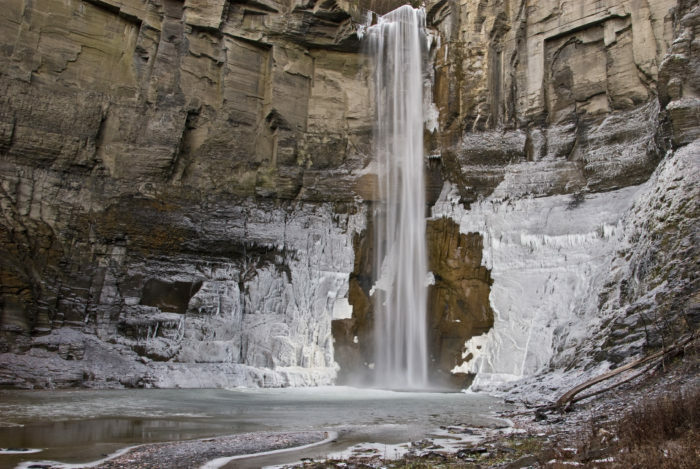 Just outside of Ithaca, Taughannock Falls State Park is an unforgettable park to visit once winter rolls around. 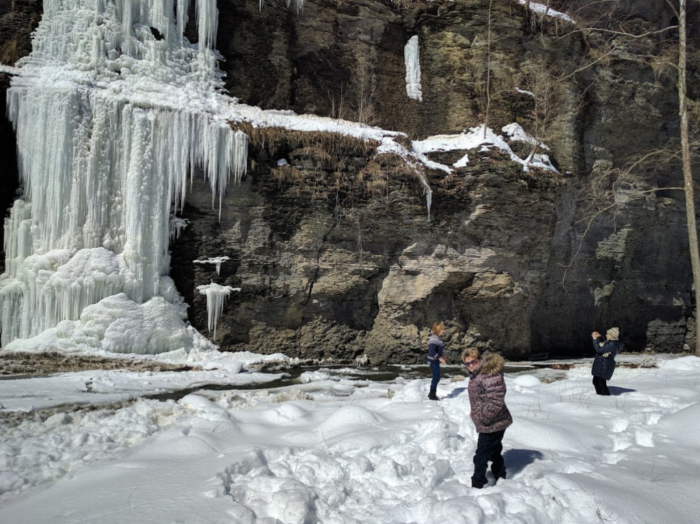 Hike into this mesmerizing New York state park and you'll get to see the tallest single-drop waterfall east of the Mississippi River completely frozen over during our winter months. At 215-feet tall, Taughannock Falls is one waterfall you absolutely must plan a trip to in 2019 if you haven't already visited. As we previously mentioned, our Adirondack waterfalls are often not the easiest to get to, but Shelving Rock Falls is one hike that's short and sweet. All it takes is a half-mile hike through the woods to reach Shelving Rock Falls. The waterfall flows down over 50-feet and is just a quick walk away from the shores of Lake George in Fort Ann. During the summer you'll usually find lots of visitors at this waterfall, cooling off in the base of it and enjoying the mist of the falls, but during the winter you usually won't find too many people soaking in the views of Shelving Rock. 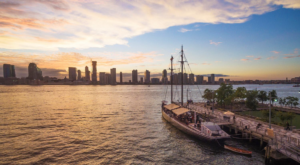 This is one relaxing adventure you won't regret taking! 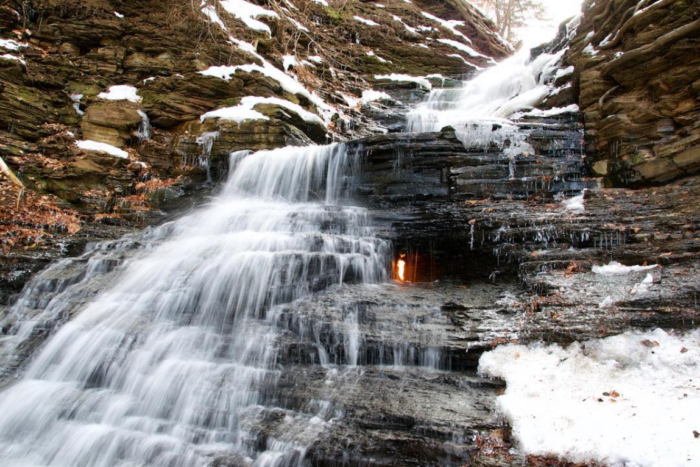 One of, if not the most, unique waterfalls in New York, Eternal Flame Falls is hidden away in Chestnut Ridge Park. The small-town park is one that comes to life during the wintertime, with curious explorers often hiking their way out to Eternal Flame Falls to see the true definition of fire and ice. For those who are unfamiliar with this waterfall, all throughout the year, the waterfall features an actual flame inside of it — something you can only find a few other places around the world. Easy to find down in the Hudson Valley, Indian Brook Falls is right by the Constitution Marsh in the town of Garrison. 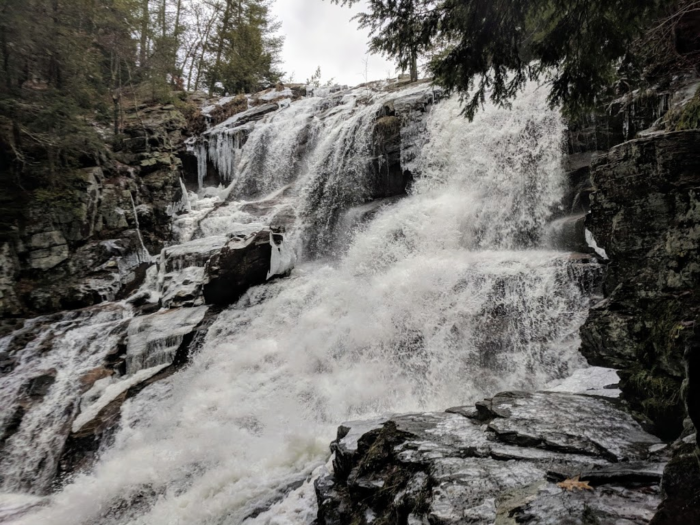 Where you're secluded away and right within the beauty of the Hudson Highlands, Indian Brook Falls is a great frozen waterfall to visit when you don't have a whole lot of time to dedicate to an outdoor adventure. 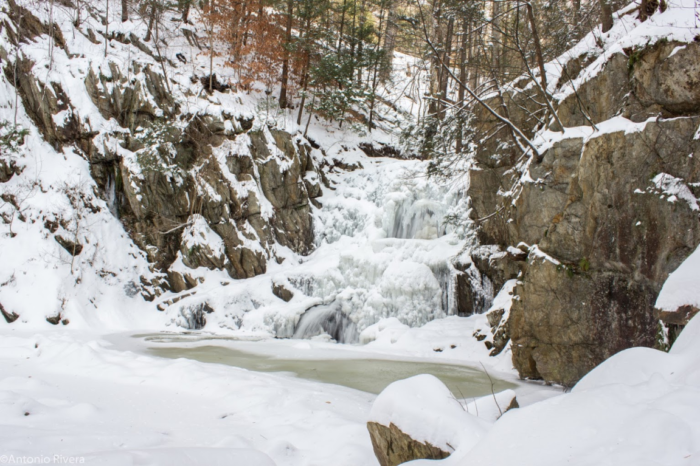 If you're ready to take a quick winter stroll through the woods that will lead you to a beautiful frozen waterfall, keep Indian Brook Falls in mind! Out of these 10 frozen waterfalls, how many of them have you already crossed off of your bucket list during the winter? Be sure to share your favorite waterfalls with us in the comments!